From left: Lochalsh farm manager Kendal Hunter; Heather O’Neill, operational support, Mowi Scotland Feed Team (Kyleakin); Paul Wood, chairman of the Lochalsh Leisure Centre. Photo: Mowi Scotland. A Highlands swimming pool is well on the way to getting a new roof after salmon farmer Mowi Scotland kicked off a fund-raising campaign with a £13,500 donation. That covered half the estimated £27,000 cost of the urgently-needed replacement for the 30-year-old roof at the Lochalsh Leisure Centre pool. 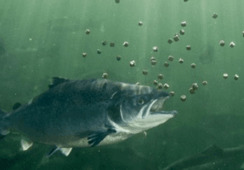 And the campaign, which only launched last Thursday, has since received another boost with the offer of £10,000 from Eilean Donan Castle and the Conchra Charitable Trust. As well as the corporate donations, a further £855 has also been pledged by 22 generous individuals on a Just Giving page set up by Mowi. Lochalsh Leisure Centre provides affordable facilities to its members and has a strong membership base which covers day-to-day running costs. But as a self-financing charity that’s wholly funded by the community, large expenditure such as the cost of a new roof cannot be absorbed by membership fees alone. 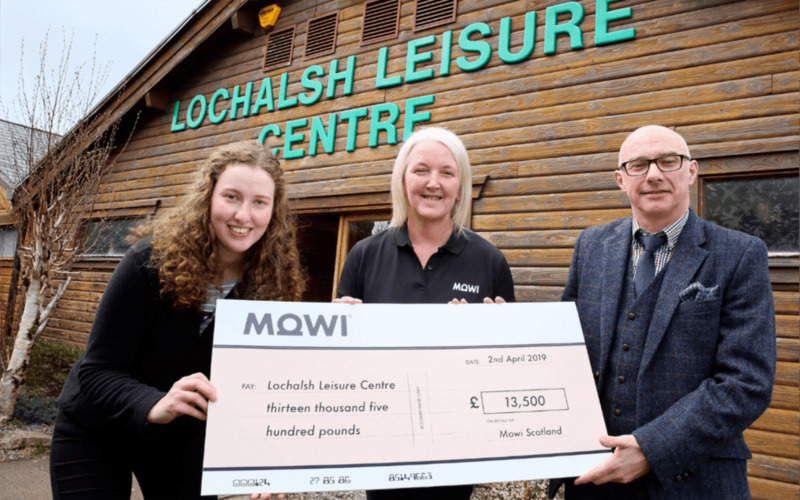 Kendal Hunter, manager of Mowi’s Lochalsh salmon farm, said: “With the Lochalsh Leisure Centre being such an important facility for the community, I’m really happy we’re able to support in its efforts to replace the pool roof. 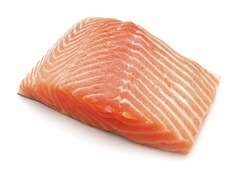 The centre’s manager, Charlene Maguire, said a member of the centre had suggested approaching Mowi for help with repair bills before it was discovered that a new roof was required, and that talks with the salmon farmer came at just the right time. She is delighted with the response to the fundraising campaign but is keen for the money to keep coming in, pointing out that the roof repair cost is an estimate, and that costs almost always rise.